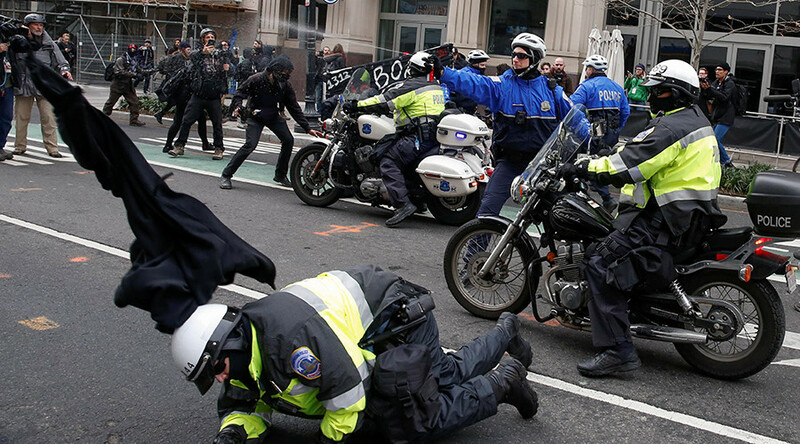 A review of the Metropolitan Police Department’s actions on Inauguration Day found that officers may not have properly followed procedures when they clashed with protesters in Washington, DC, according to the city’s police oversight board. The five-member Police Complaints Board (PCB) ‒ made up of one MPD member and four civilians with no current law enforcement affiliations ‒ oversees the Office of Police Complaints, which sent out monitors on January 20 to observe the interactions between city police and the public. On Monday, the board issued its findings about Inauguration Day, when more than 200 people were arrested and charged with felony rioting during clashes with police, and recommended further investigation. “The Police Complaints Board (PCB) concludes that while in many instances MPD conducted activities in a constitutional manner, there are several instances where the observations made by OPC cause concern and raise questions,” the 17-page report said. 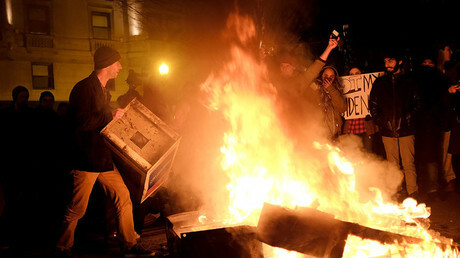 Among those concerns were police who did not follow department procedures for First Amendment gatherings, officers who attacked and arrested members of the media and other observers who were not involved with the riots, and the use of force and less-than-lethal weapons without first warning the crowds. 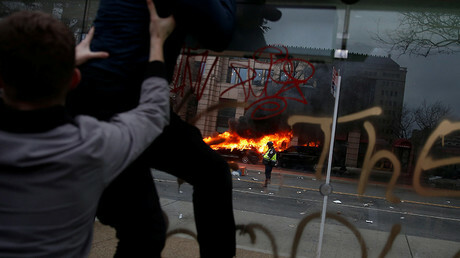 The report criticized MPD for arresting and corralling people “even though they claimed to have not taken part in any rioting or acts of vandalism.” The people involved in the rioting “were dressed in all black, yet many who were cordoned off and then arrested wore press identification or green legal observer hats, differentiating them visibly from those engaged in unlawful acts.” One of the journalists who was arrested on January 20 was RT America’s Alexander Rubinstein; felony rioting charges against him have since been dropped. The fact that many of the people arrested didn’t appear to participate in the rioting could end up hurting the prosecution of those cases because “it would likely be a challenging task to make a probable cause determination for each person arrested... in the Franklin Square Park area,” the report said. The board concluded that MPD should hire an independent consultant to “investigate and examine all aspects” of the department’s actions on Inauguration Day, including police footage from body-worn and other cameras. MPD handled the Women’s March on Washington the following day, January 21, in a very different manner: “OPC’s overall impression is that MPD performed in a professional manner and effectively balanced the interests of public safety with the right to free expression,” the PCB said in a second report issued on Monday. However, the board expressed concern that officers did not spread out far enough along the march route to the north and west of the original rally point. “Several traffic intersections quickly became dangerous for pedestrians, there was little traffic control, and it was difficult to find any officers at many points along the march route and in the downtown area,” the 10-page report said.